Sophia Webster and PUMA have translated the renowned British accessories designer’s love of dance into their newest collaboration. Bringing together Sophia Webster’s creative and feminine design DNA and PUMA’s innovative designs rooted in sports has created a stand–out dance inspired collection of sneakers, apparel and accessories. The PUMA x Sophia Webster Collection has launched in PUMA’s Store on London’s world-famous Carnaby Street and it is safe to say that Webster holds nothing back with this debut collection for the German sports brand. Each piece promises a unique style, perfect for dance class or downtime and the collab’s unofficial unicorn ambassador, embodies the designer’s sense for the current Zeitgeist. Those that love her fantasy-inspired style will dig her touch on PUMA’s well-loved classics. The Suede, one of Sophia’s dance class favourites, features fresh new colourways with translucent rubber soles whilst the PUMA classic Leadcat slides get a Sophia Webster update with metallic embroidered artwork and fluoro highlights. Fans can also look forward to hand-drawn patterns, candy coloured pastels, bold graphics and kaleidoscopes of striking colourways, playfully re-imagined on jackets, hoodies, T-Shirts and shorts. 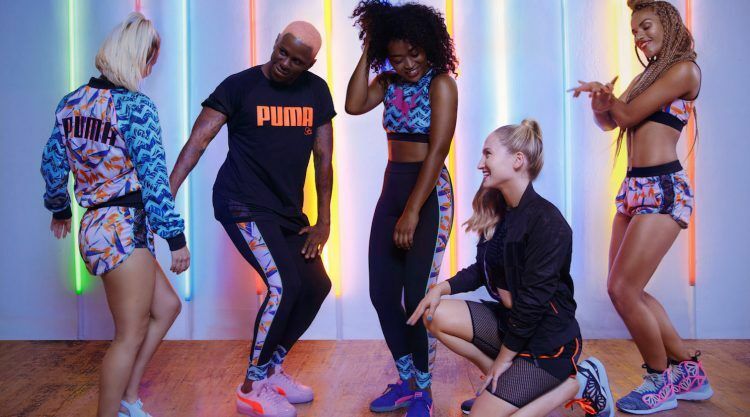 The collection will drop globally in PUMA stores as of September 9th.